Have you ever wanted to own a full-sized ShopBot? What if some geniuses somewhere made a tool the size of a coffee maker that had the same capabilities? Does an augmented reality, real-time feedback, interactive, handheld CNC router that can make objects ranging in size from a pillbox to an entire conference room table sound like a thing that even exists? It didn’t to me at first, but then I visited the Shaper Tools office in San Francisco and they blew my mind with their flagship tool, Shaper Origin. This table and the spool holder sitting on it was made with a machine the size of a coffee maker. It’s impossible for me not to sound like a fan boy. Using Shaper Origin was one of those experiences where you just don’t know what to say afterwards. This is what the future looks like. I’ve used a lot of CNC tools in my life, from my first home-built CNC conversion, to 1980s monstrosities that ran off the floppy kind of floppy disks, and all the way over to brand new state-of-the-art vertical machining centers. I had to shake a lot of that knowledge off when they demoed the device to me. 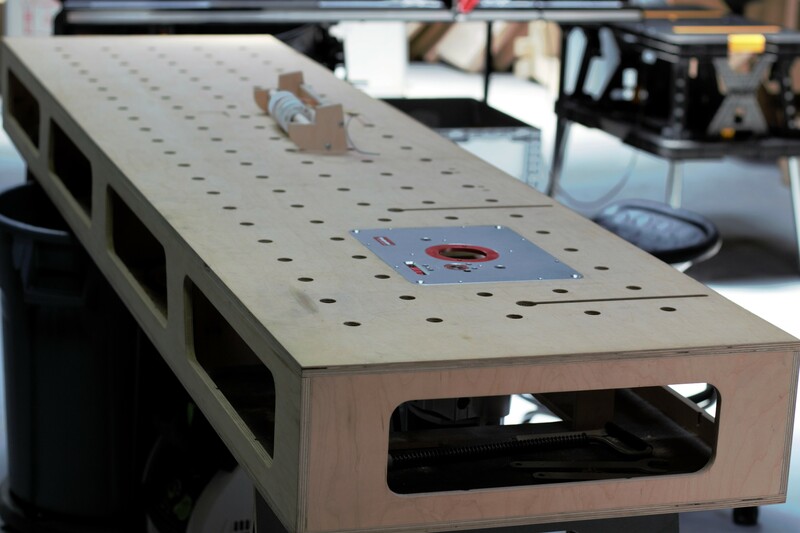 Origin is a CNC router built into the form factor of a normal wood router. The router knows where it is on the work piece. You tell it where on the piece you would like to cut out a shape, drill a hole, or make a pocket. It tells you where to go, but as you move it keeps the cutting bit precisely on the path with its three axes of control.